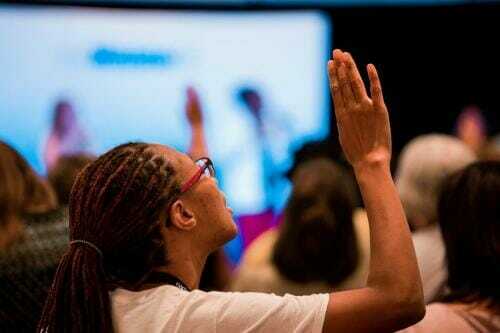 In North America, nearly 200 female pastors and chaplains receive encouragement. While scanning the low desert of southern California, one cannot help noticing the skyline of the surrounding mountains and hills that contrasts vividly with the vast open sky. It was the landscape of this region, near the town of Indian Wells, that inspired Brenda Billingy to choose the theme for the 2018 North American Division (NAD) Women Clergy Retreat. 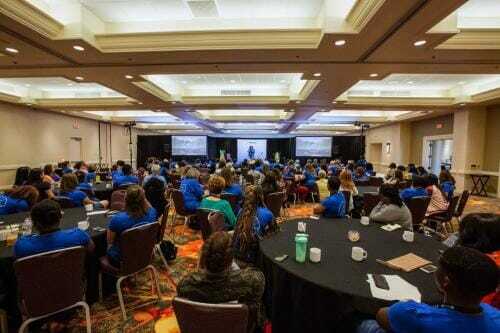 Approximately 200 pastors and chaplains participated in the “Look Up” event, which took place at the Hyatt Regency Indian Wells Resort and Spa, September 2-5, 2018. The retreat was designed to provide time for rejuvenation through inspirational messages, breakout sessions, community service, free sessions with a licensed counselor, a 24-hour prayer room, and even hand massages. The retreat was structured around Psalm 121, a song of ascents, which starts with the passage, “I lift up my eyes to the mountains — where does my help come from? My help comes from the Lord, the Maker of heaven and earth” (NIV). “This is a song that would have been sung by Hebrew pilgrims as they were going back to Jerusalem, to that mountaintop experience. They would’ve sung this [as they traveled],” said Raewyn Orlich, senior pastor of Victorville Seventh-day Adventist Church in Victorville, California, as she presented the final devotional thought of the retreat. The question was deeply felt throughout the room, with audible sighs and murmurs, according to Billingy. Orlich answered with one of God’s promises of unwavering support for individuals, not just ministries, programs, and services. 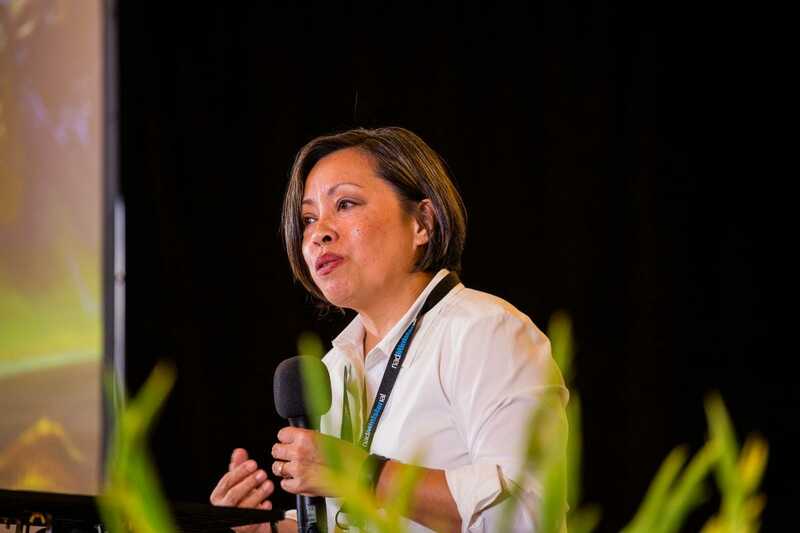 Ann Roda, a keynote speaker at the retreat, is vice-president of Adventist HealthCare for Mission Integration and Spiritual Care in Gaithersburg, Maryland. Roda said that while she was serving for more than two decades as a congregational pastor, she never saw herself in a ministerial role outside of the church’s walls. She knew that she was where God wanted her to be. 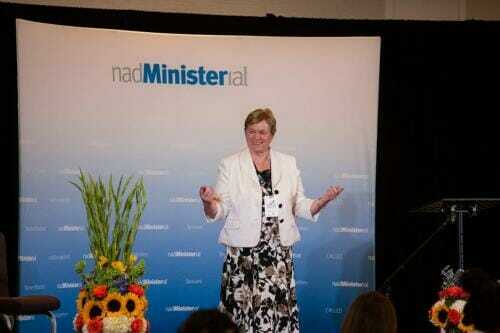 But then God called her out of the traditional pastoral setting into health-care administration. Danielle Pilgrim, associate pastor of Berean Seventh-day Adventist Church in Atlanta, Georgia, said Roda’s message was one of the highlights during her time at the retreat. “Her words really touched my heart and opened my eyes. We think of ministry as just pastoral ministry or maybe chaplaincy, but ministry is way beyond that. Our impact is not just for the local church or just to be in that building; it’s wide,” Pilgrim said. 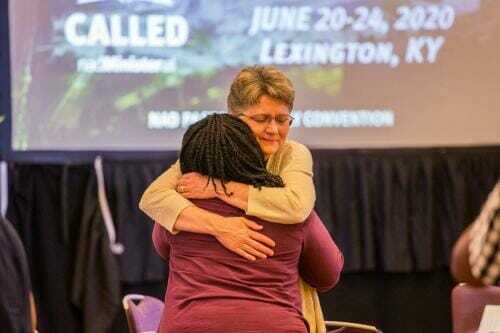 During a lunch session, Dan Jackson and Alex Bryant, the president and executive secretary of the NAD respectively, acknowledged and affirmed the steadily increasing demographic of women clergy in the church. “I can’t help but say, ‘Praise God for the expansion, growth for this part of the ministerial team,’” Jackson said. “I really dream of the day we’ll have a thousand female pastors in the NAD.” Currently, approximately 150 female pastors are employed within the Division. The leaders also took questions from attendees, providing an opportunity for the women clergy to inquire about a policy compliance document that will be discussed during the October General Conference Annual Council session in Battle Creek, Michigan. Annual Council is a yearly meeting of the Seventh-day Adventist Church’s second-highest governing body, which is made up of leaders from all of the Church’s territories around the world. The document in question outlines ways the denomination’s leadership could address union territories believed to be operating outside of Church policy. While not explicitly stated, one of the areas in which some NAD unions may be viewed as out of compliance is with their ordination of female pastors. The Q&A session also gave participants the chance to ask Jackson and Bryant about opportunities for women in pastoral and leadership roles throughout the Division’s structure. Bryant highlighted a stunning statistic — half of the NAD’s approximately 4,000 pastors are eligible for retirement. “We do not even have enough in the pipeline to replace that number of people. Maybe God is preparing a team, an army, to be prepared to step in the gap. We don’t know what the Lord is up to, but we know He’s up to something,” Bryant said. Billingy echoed this in another setting later in the event. “I feel for the women. We need to be even more intentional about mentoring. And it’s not that women are supposed to take over the church. We just need to be able to enlarge this conversation and this territory. “So, we’re making room for growth, development, for other women to come in and experience the joy of being called by God and seeing the fulfillment of that calling. That’s a joy that’s unspeakable,” Billingy said. The retreat also served as a family reunion of sorts. Former seminary classmates and chaplains from various military branches and hospitals shared aspirations and challenges and prayed over each other throughout the four-day retreat. 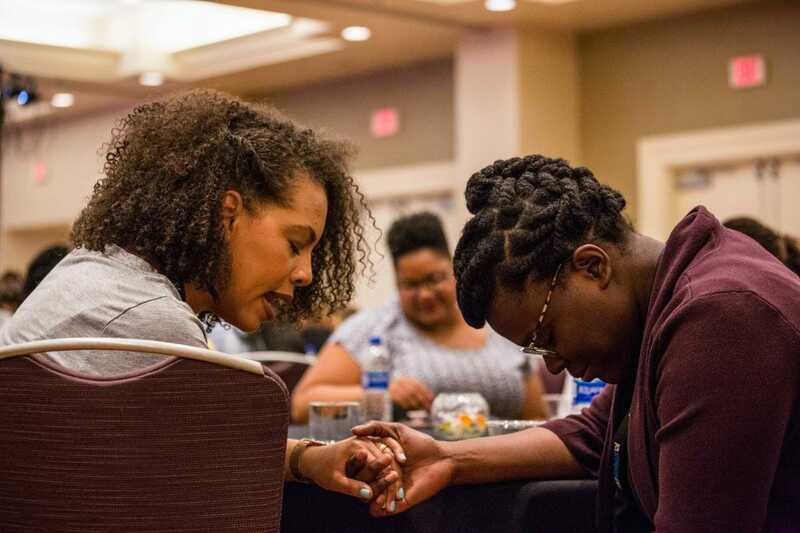 Julian Jones-Campbell, a pastor of the Greater New York Conference, attended the first NAD Women Clergy Retreat in 2016, which took place in Fort Lauderdale, Florida. She said she’s inspired by what her colleagues have been able to do in the two years since that first event. “Being here with my sisters, hearing their stories, seeing the progress that has been made … to see them today and how they’ve grown and how things have gotten better, it’s amazing to see that they’re blooming where they’ve been planted,” Jones-Campbell said. Lindsay Syeh, who pastors two small churches in the Miami metro area of Florida, is her conference’s only female pastor in that city. She says while she can always send texts to colleagues in other areas, it’s not the same as being able to meet in person for a listening ear. “I felt the presence of God here,” said Syeh. “The networking is beyond what you could imagine or think. It’s just good to know that I’m not the only one with struggles.” Syeh mentioned one struggle, which resonated with colleagues, that of people walking out of church in response to seeing a woman in the pulpit during the worship hour. She said that aside from General Conference Session every five years, which brings together leaders, ministers, and tens of thousands of members from the church’s 13 international territories, there aren’t many opportunities for women clergy from the entire Division territory to see each other. “Hopefully we can get more of this; we need more days,” said Syeh. One of the featured speakers for the “Look Up” retreat was Andrea Luxton, president of Andrews University. She used the concept of the desert as a simile for various life experiences, comparing somewhere she felt safe and at peace with other places where she felt loneliness and devastation. But she said in both the highs and the lows, it’s imperative that one learns how to listen for the voice of God. “The busier we get, the multitude of challenges that are pressing on us, both personal and professional, the harder it is to still keep listening,” Luxton said.